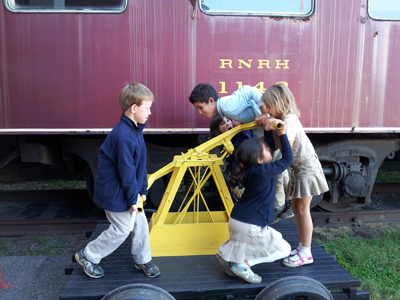 Excitement and exploration was part of the lower elementary class field trip to the Virginia Museum of Transportation in Roanoke. They saw many examples of how people have met their transportation needs throughout history. The Museum exists to preserve Virginia’s transportation history and to honor the workers whose talents created the transportation marvels in our collection. The displays offer lots of “hands on” learning for eager children. They climbed on railway cars, dressed up in real firefighters’ clothes, and studied a spectacular model train exhibit. Our trip enriched our classroom curriculum study called “Needs of People” and helped us travel beyond the classroom to see and experience actual vehicles, tools and equipment related to societal needs. 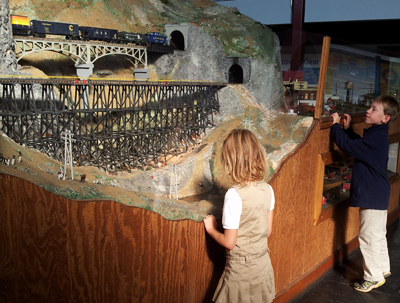 The model train exhibit provides fascinating detail. What is the Best way to Grow Sprouts?